Water is a consciousness, we are learning to understand this truth, Dr Masaru Emoto introduced us to research showing the effect both positive and negative intent had on water, showing that when consciousness meets consciousness it impacts each other. 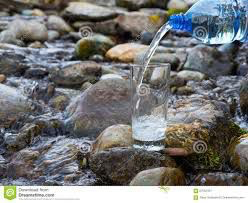 I am being guided to share that for our ascension it is vital that we ensure we are kept well hydrated, on pure natural spring water (none fluoride). Keeping our bodies well above 63% hydrated, ideally around the 80% is much more beneficial. Symptoms such as joint pain, stiffness etc and dizziness can be minimised if we are well hydrated. Remember alcohol and caffeine have the opposite effect, so if you are taking these make sure you increase your water in take further. Water is an essential ingredient for the process of the body changing from a carbon to a crystalline form and there for can not be undervalued at this time of our evolution.